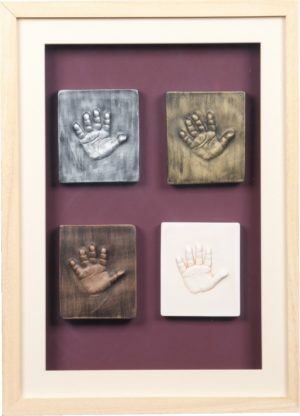 Four separate sibling hand imprints – a fun gift for someone special! This is a popular gift and the process can take 4-5 weeks, so please allow plenty of time. Prices start from £135.